During food or beverage processing near real-time measurement of key ingredients or unwanted byproducts is essential to the quality and safety of food production. Traditional methods such as HPLC and GC/MS require expert operators, high maintenance and lengthy analysis time. The YSI 2900 Series Analyzers make it practical to measure a variety of key analytes when it counts. Employing enzyme electrode biosensors, the YSI analyzer provides a result in about one-minute with little or no sample preparation. 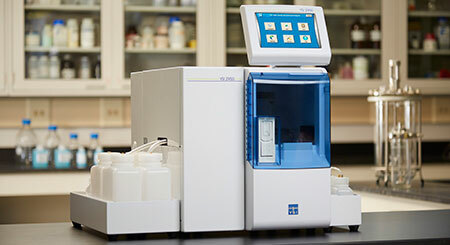 Results of glucose, sucrose, lactose, ethanol and many more analytes compare well to approved lab methods, making the YSI 2900 ideal for process monitoring. Make decisions to package, hold, or reformulate without waiting for the final laboratory analysis. Because the instrument is simple to use and maintain, operator training is minimal. On-board self diagnostics monitors the instrument function to help guarantee accurate results and alert operators to errors. 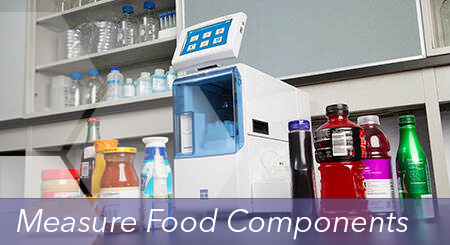 YSI analyzers are currently part of the manufacturing process for hundreds of food and beverage products. YSI maintains a library of application notes describing measurement techniques ranging from the measurement of dextrose and sucrose in potatoes, cereal products, and molasses, to the measurement of choline in infant formulations. A more recent application involves measuring lactate and ethanol in tomato processing to quantify microbial load.